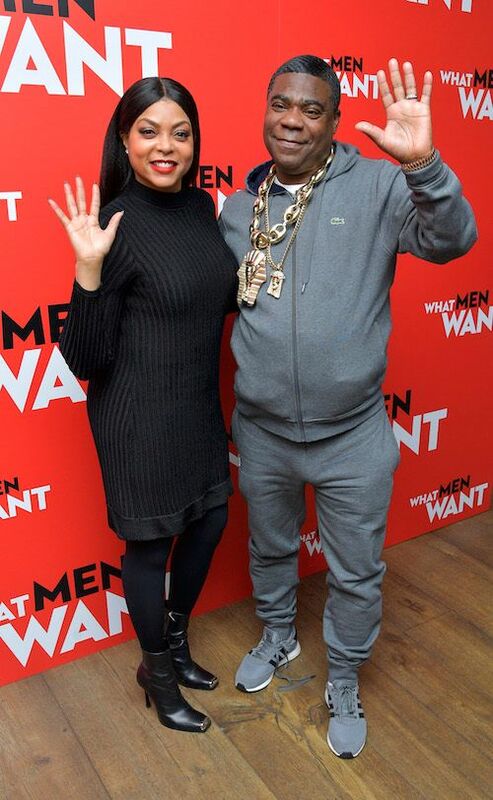 After accepting her star on Hollywood's Walk of Fame, Taraji P. Henson is back on the east coast to make more press stops for her uocming comedy, What Men Want. The 48-year-old actress hit the carpet for the film's NYC premiere held at the Crosby Street Hotel last night in a black long-sleeved L'Agence dress. FAB, per usual. Produced by Will Packer (Girl's Trip) and directed by Adam Shankman, the Oscar nominated actress plays a sports agent in a male-dominated industry where she has to fight her way up the ladder to prove she's better the boys. She gains an unexpected edge over them when she develops the ability to hear men's thoughts after drinking a tea that was given to her by a psychic (played by Erykah Badu). 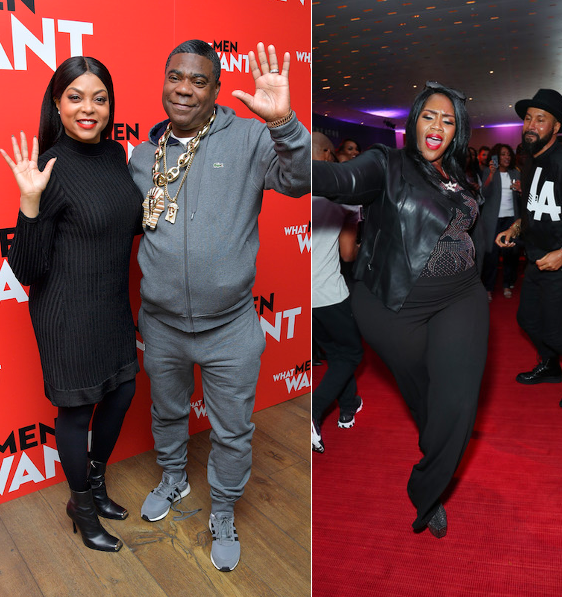 Catching up with his "sister" Taraji on the carpet, What Men Want actor Tracy Morgan and his heavy gold chains were in the mix. Of course, Tracy brought his wife Megan Wollover as his date. 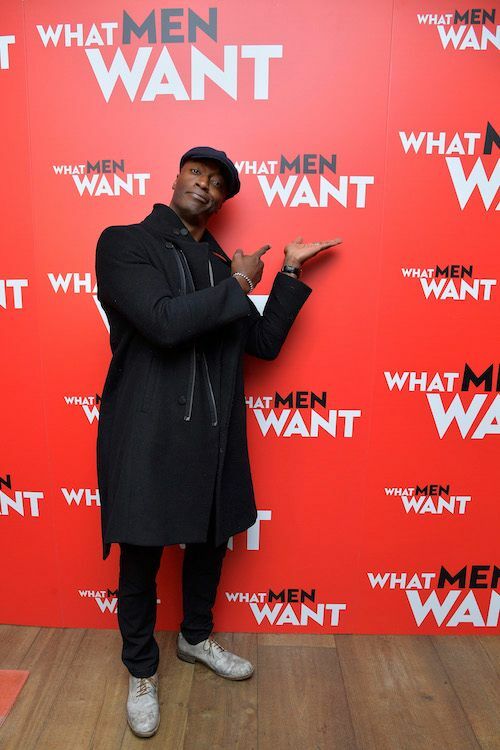 Hottie Aldis Hodge, who plays Taraji's love interest in the film, made his way to the premiere. 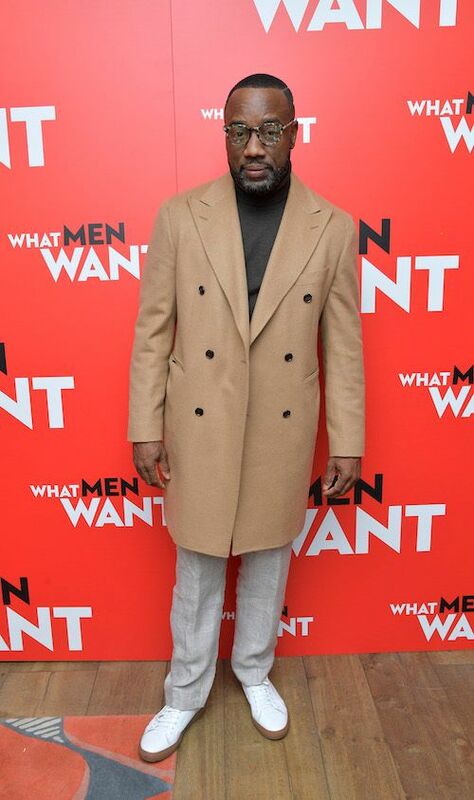 Malik Yoba, who plays Wavy in "The Last O.G." 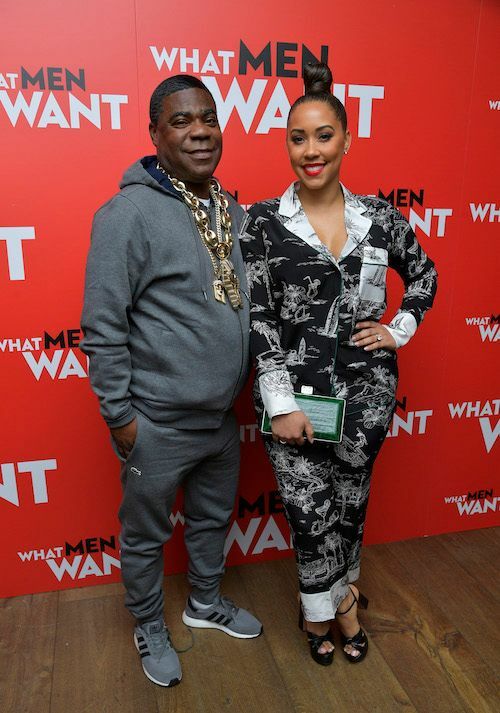 alongside Tracy Morgan, came out to show support. "Good Morning America" anchor Robin Roberts - who was likely giving actor Liam Neeson the side-eye this morning, kept it cute and casual on the carpet. 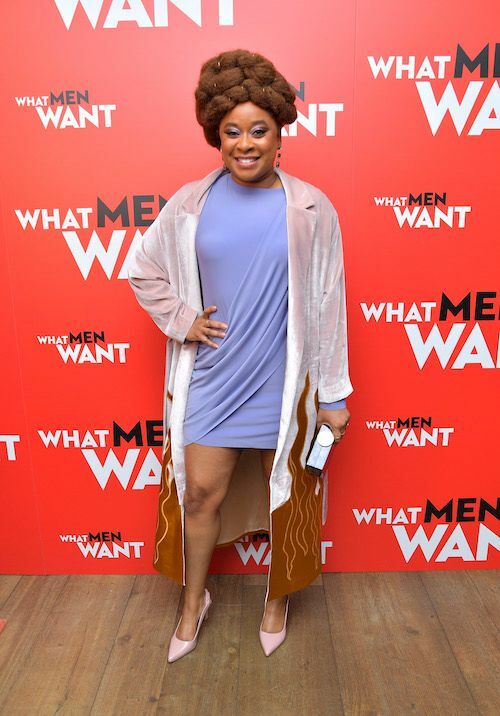 What Men Want actress Phoebe Robinson served up some thigh-action on the carpet. 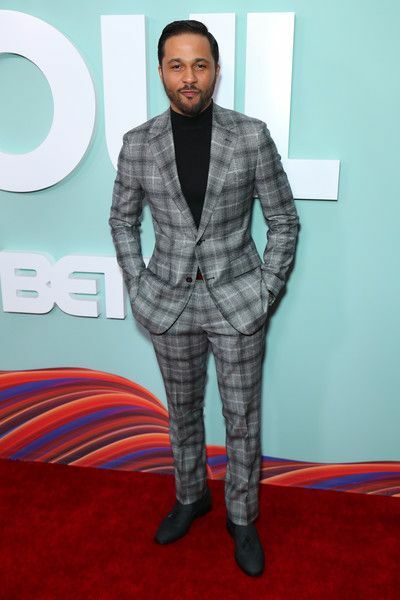 The cast of BET's "American Soul" series made their way to the red carpet at the show's Los Angeles premiere. 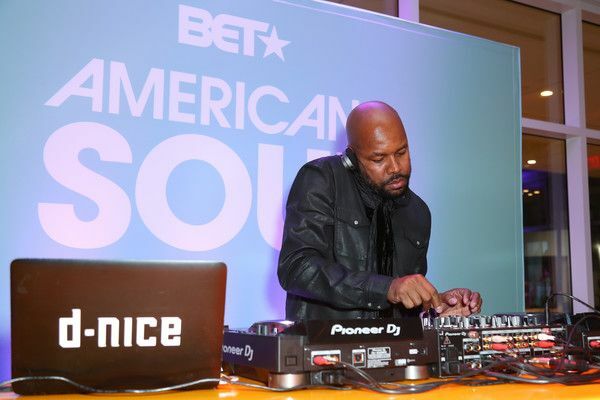 “AMERICAN SOUL” reveals what it took to launch the first nationally-syndicated Black music show and what happened when the music stopped. It stars many of your faves, including Sinqua Walls (above), Kelly Price (above), Jason Dirden, Iantha Richardson, Katlyn Nichol, Jelani Winston and Christopher Jefferson; with guest appearances by Kelly Rowland as Gladys Knight, Michelle Williams as Diana Ross, Wayne Brady as Little Richard, Bobby Brown as Rufus Thomas, and K. Michelle as Martha Reeves. 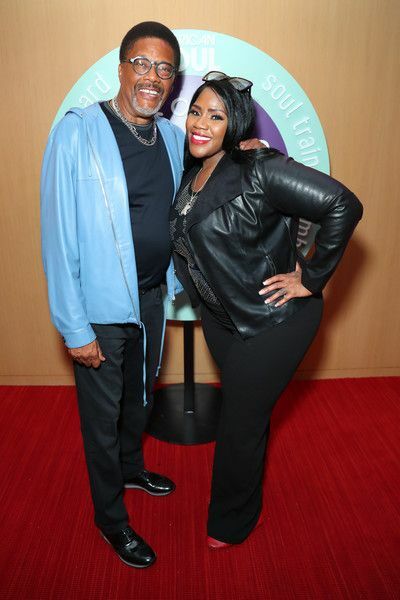 On social media, Kelly - above, posing it up next to Judge Greg Mathis - revealed she styled herself for the premiere, writing, "About tonight.... @americansoulbet American Soul Hollywood Premier was amazing! My soul is overjoyed. 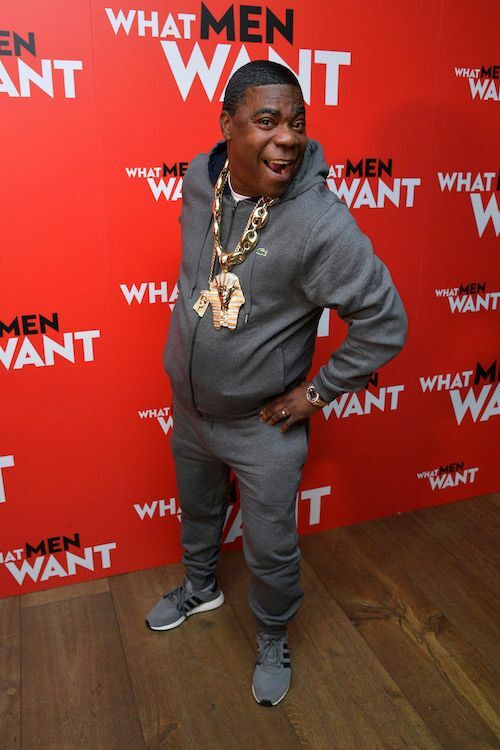 And btw... Tonight’s fit comes straight from my closet styled by ME!!! I did my sister @juneambrose proud tonight"
LL Cool J's wife Simone Smith, Will Smith's ex-wife Sheree Zampino, and Mike Epps' ex-wife Mechelle McCain came out to support. Nice! Real clean! 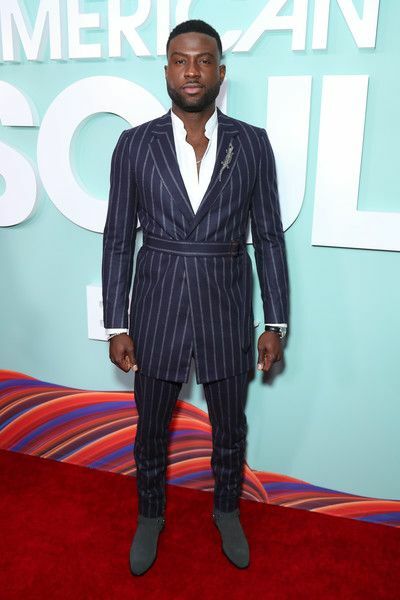 "American Soul" stars Sinqua Walls and Jason Dirden kept it dapper on the carpet for the premiere. "Basketball Wives" star Tami Roman served up cake in her Fashion Nova 'fit after hosting the red carpet. 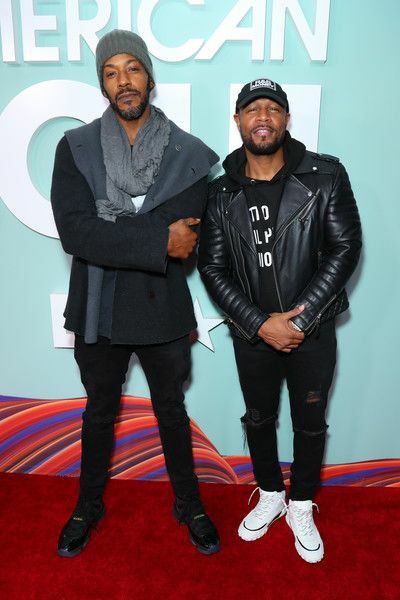 "Hit The Floor" alum McKinley Freeman and R&B crooner Tank kept it real G-like on the carpet. 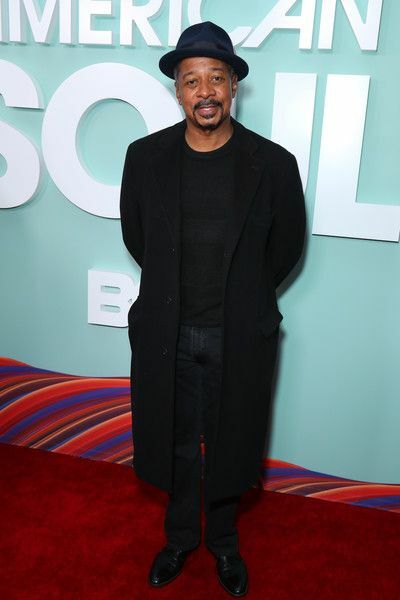 Legendary director Robert Townsend, who is one of a few directors working on the series, made his way to the premiere to see his body of work on the big screen. Baddie alert! 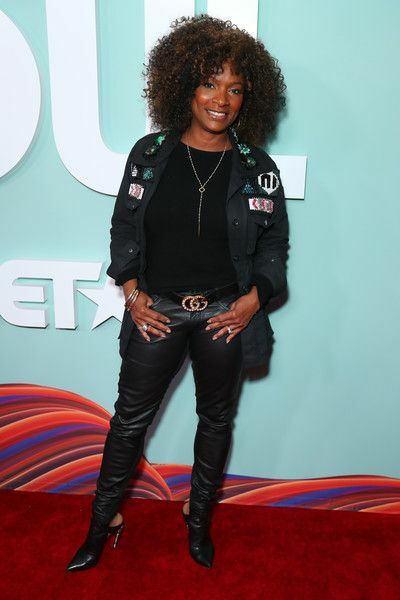 Vanessa Bell Calloway struck a pose on the carpet. 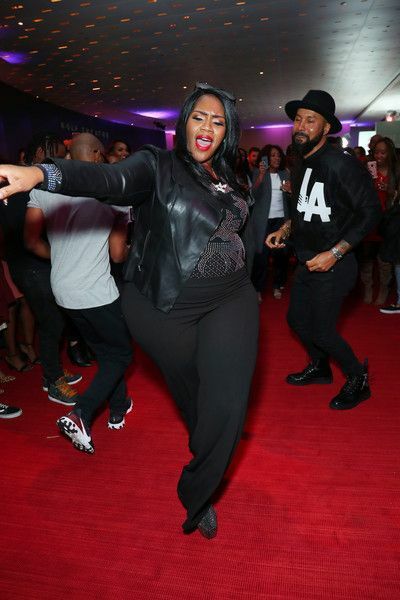 She will be starring in the upcoming biopic HARRIET, alongside Cynthia Erivo, Janelle Monae and more. 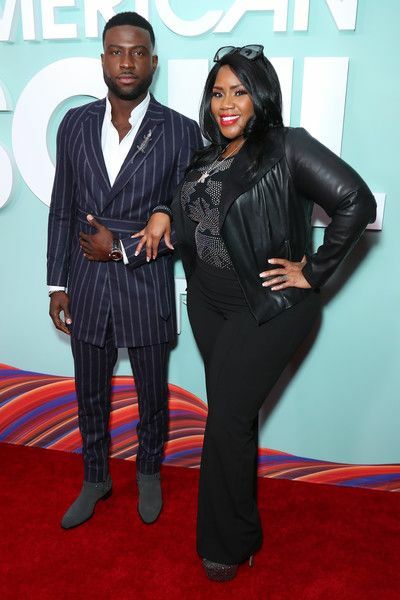 Comedian Tommy Davidson and Chocolate City star Darrin Dewitt Henson dapped it up on the carpet. 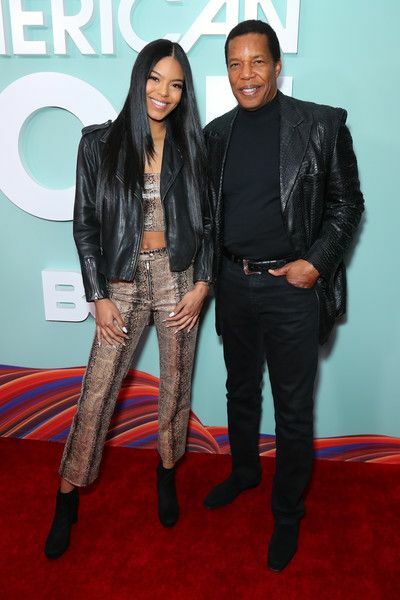 "American Soul" executive producer Tony Cornelius, son of legendary television personality/"Soul Train" creator Don Cornelius, and his daughter Christina Cornelius, who stars as a Soul Train dancer in the series, were all smiles. 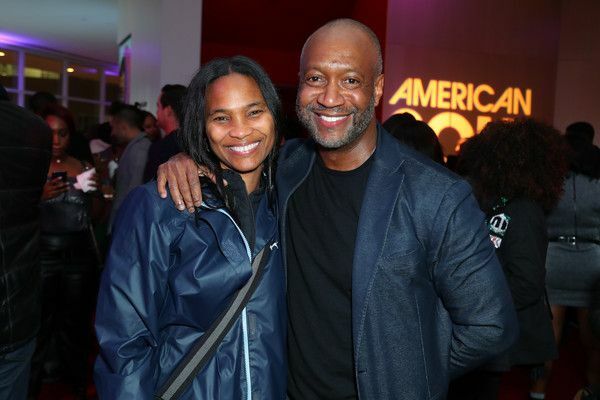 ABFF founder Jeff Friday and his wife Nicole Friday were all smiles at the event. 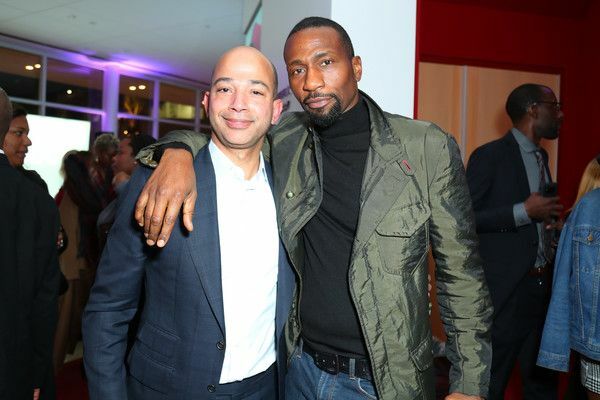 President of BET Scott Mills and actor Leon Robinson linked up for a photo-op. 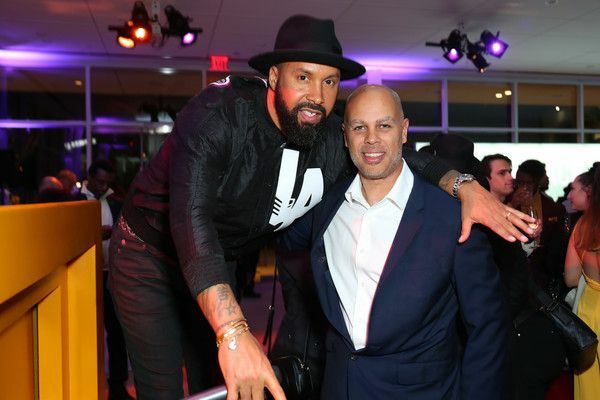 Media personality Kenny Burns and "American Soul" executive producer Jesse Collins made an appearance. And DJ D-Nice was on the 1s and 2s to provide the entertainment of the evening. 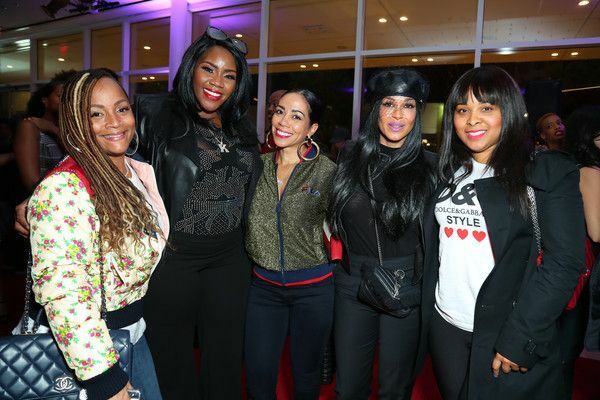 Watch celebs chop it up with red carpet host Tami Roman above. 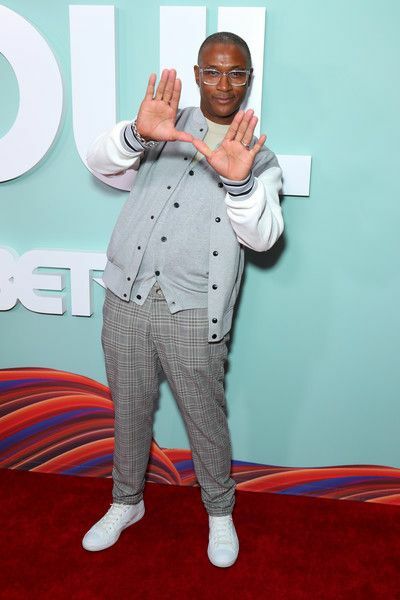 "American Soul" premieres TONIGHT at 9/8c on BET.